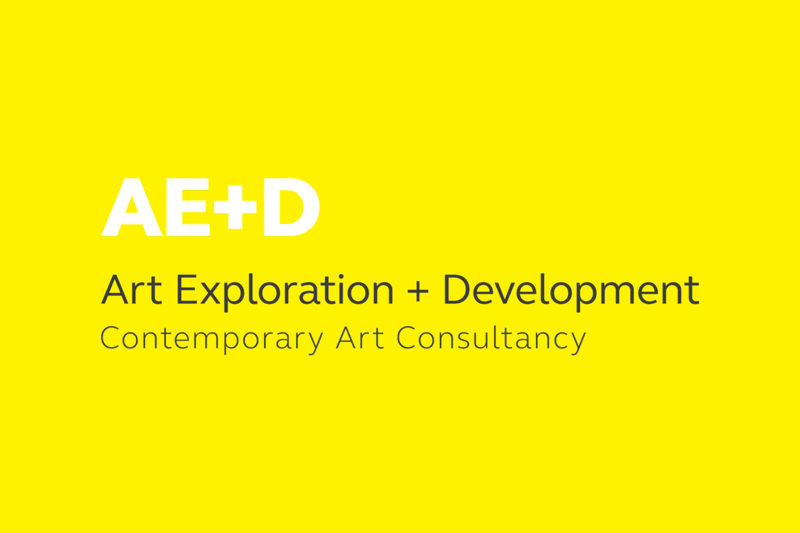 Art Exploration & Development Ltd.
Art Exploration & Development is a UK based Contemporary Art Consultancy. They both source and manage artworks for collectors and corporations, collaborating with artists, commissioners, museums and galleries. In such a highly competitive industry Michelle (the owner) wanted a contemporary logo design that would stand out from the crowd. She commented that a lot of art-related businesses had logos that were safe and boring, something she definitely wanted to steer clear of. A cleanliness and minimal approach were preferred overall, with a pure white acting as the majority of all backdrops in gallery settings. There are a lot of ways you can stand out from the crowd when designing your logo – one such example is a vibrant colour that draws the eye. In this case, the bold yellow was chosen as it kept the overall tone light and airy. 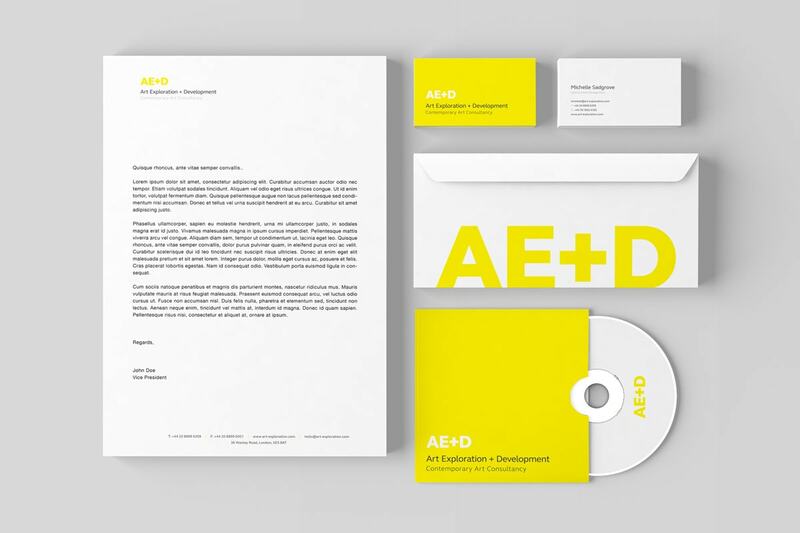 Being so bright, almost like a ‘highlighter’ colour, allowed it to work exceptionally well with white – it offered a more subtle mark where focus could be kept on the content. Looking to Refresh your Brand this year with a Contemporary Logo Design?